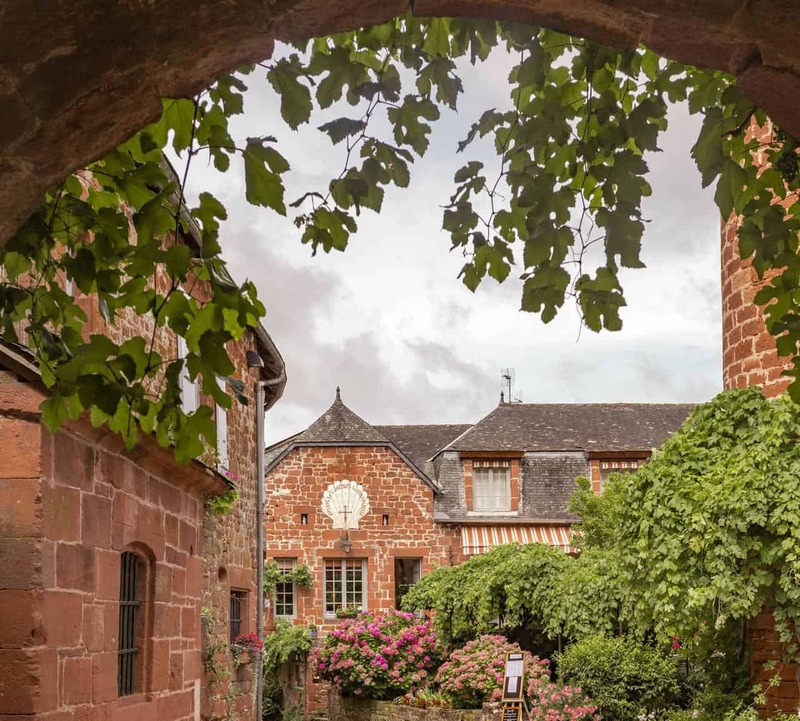 Each part of France has something distinctive: the Alsace is quite different from the posh coast of France while southwest France is entirely different than the Parisian region. 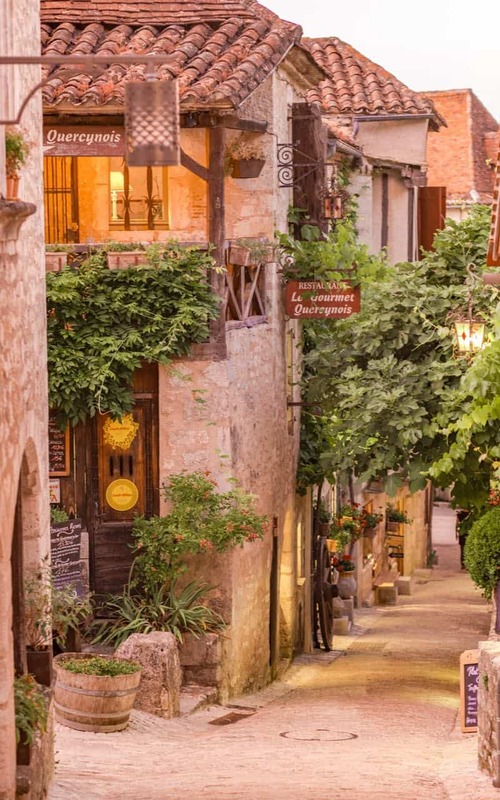 Each has something amazing to offer the visitor and south west France isn’t any different. 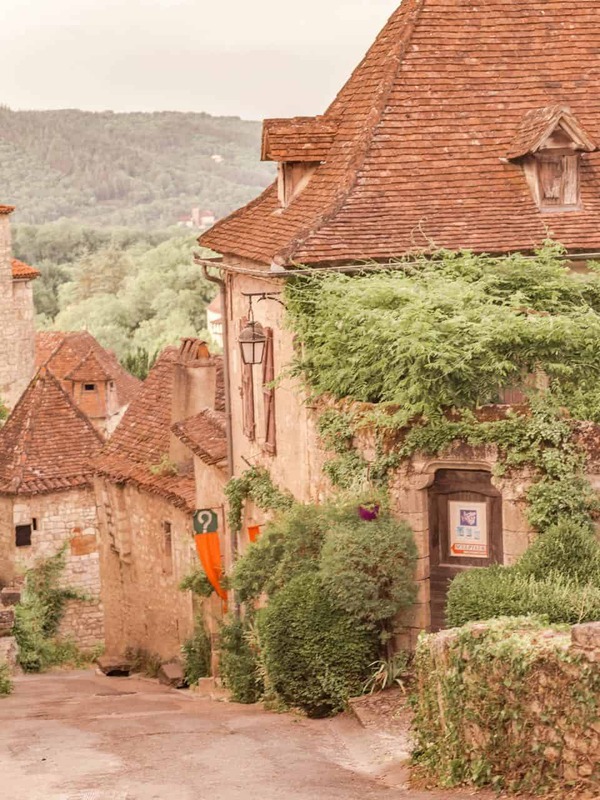 This beautiful region of France is a slice of charm that doesn’t appear in your typical France bucket list. However, it cannot be missed. 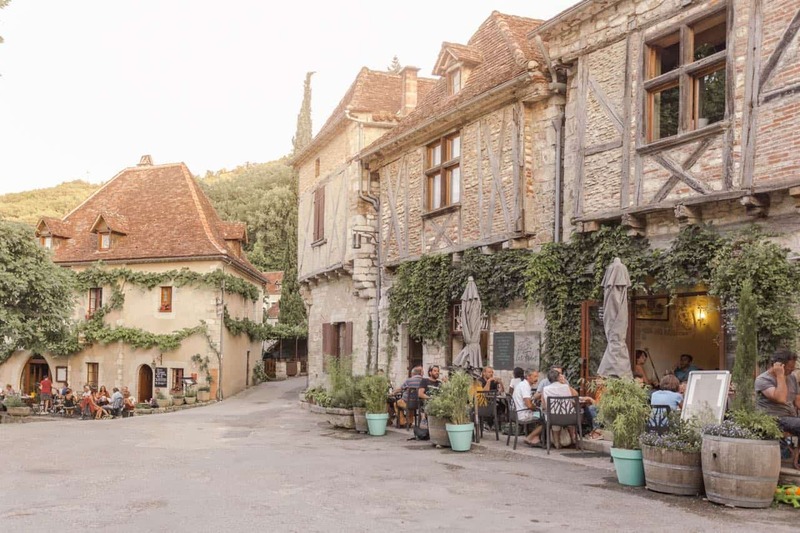 There are too many places to visit in this region and its proximity to Paris makes it easy to add to any France itinerary. 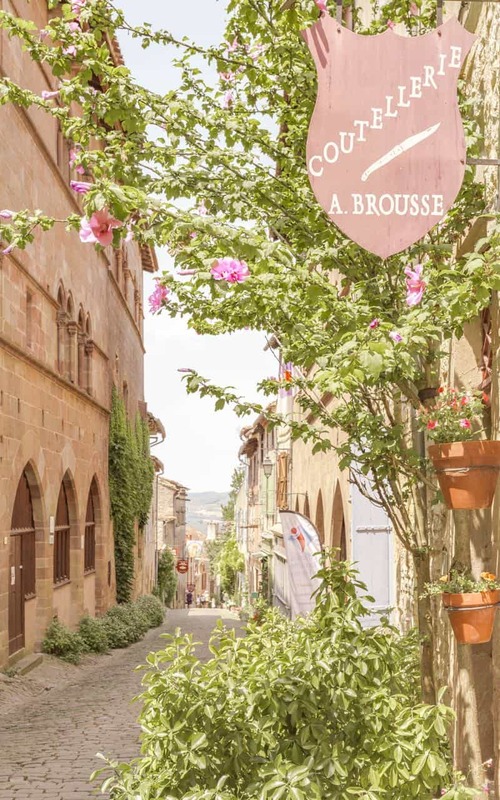 I’ve listed below the 5 best towns to visit in southwest France including Saint Cirq Lapopie, Conques, Cordes Sur Ciel, Collonges-la-Rouge, and Najac. 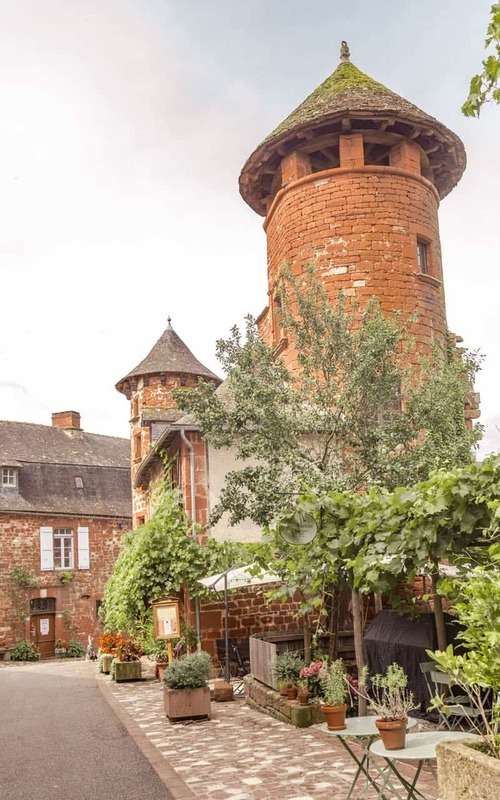 There are a few others, of course, including Albi, a World Heritage Site, but unfortunately we ran out of time and didn’t have the chance to tour it. If you have time, I would recommend adding that to the list as well. One thing to note about these countryside villages…even during the height of summer (July), these towns closed shop early, around 7pm. It was a bit unexpected especially when we arrived late the first night and had to skip dinner because no restaurants were open. 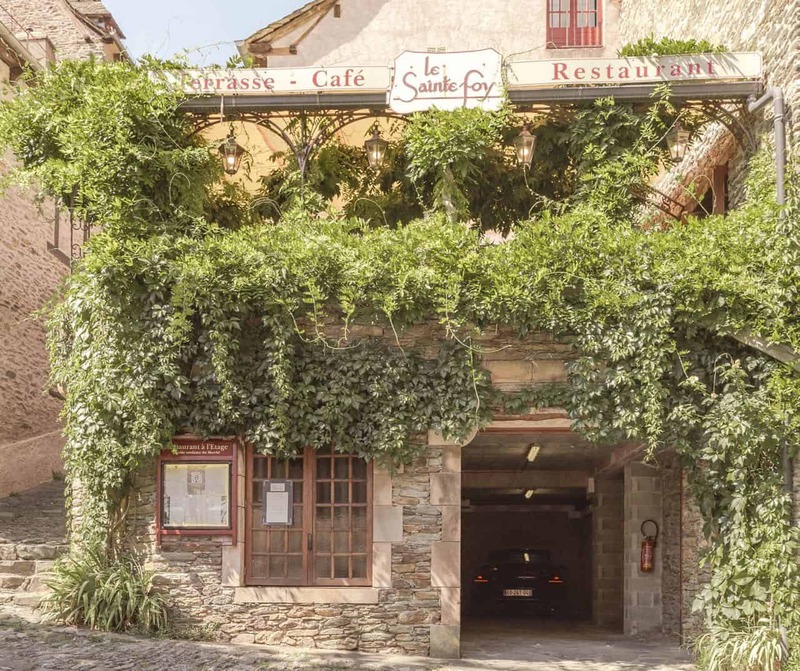 Saint Cirq Lapopie is the only one out of the five that has restaurants that open past 8pm. 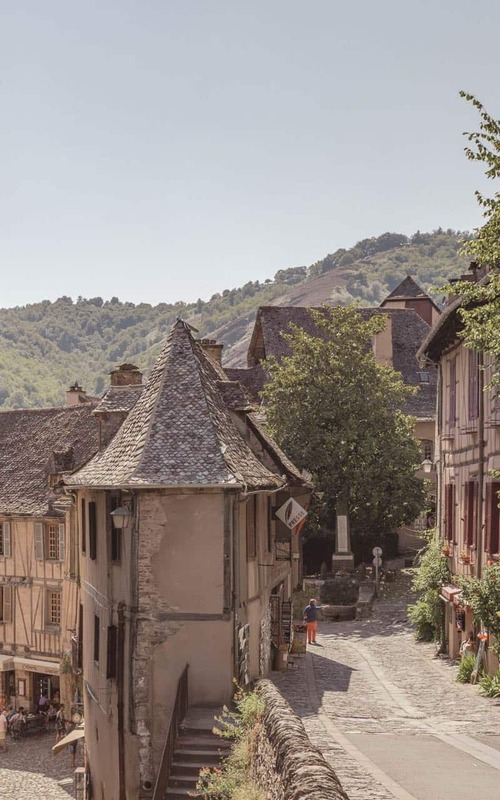 This French town is a major tourist attraction but is 100% worth it. People visit on bus tours often but for good reason. 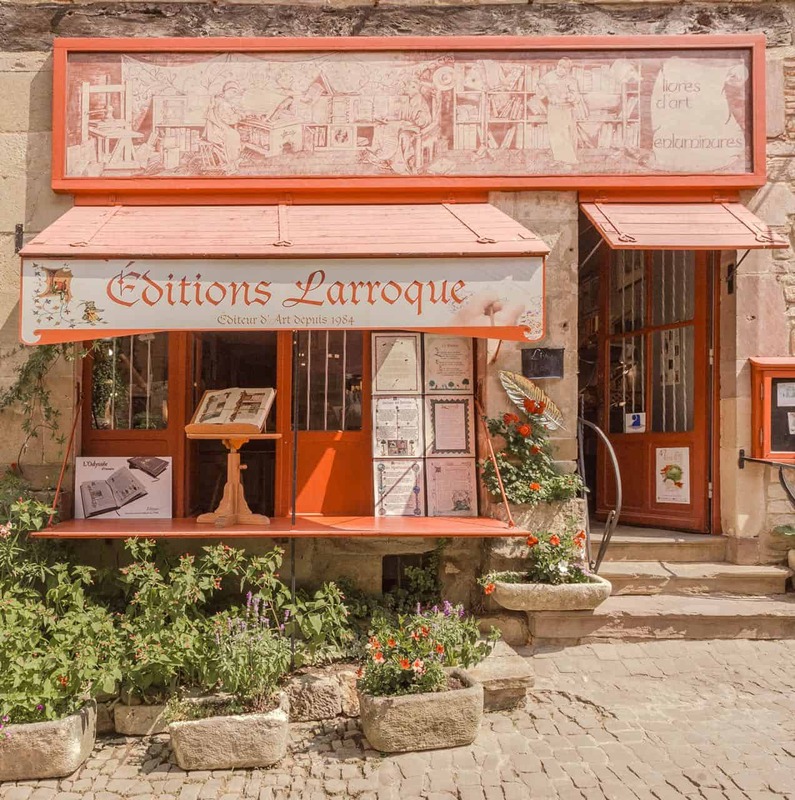 Saint Cirq Lapopie is quaint, charming and is peppered with flower-filled spots and cute shops. 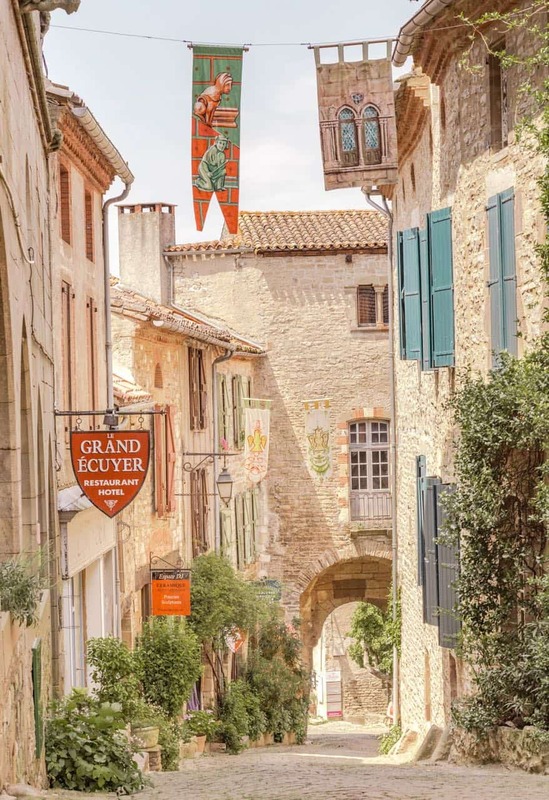 The best part of this old town is early morning or late evening when the buses have left and only a few visitors are seen strolling around. 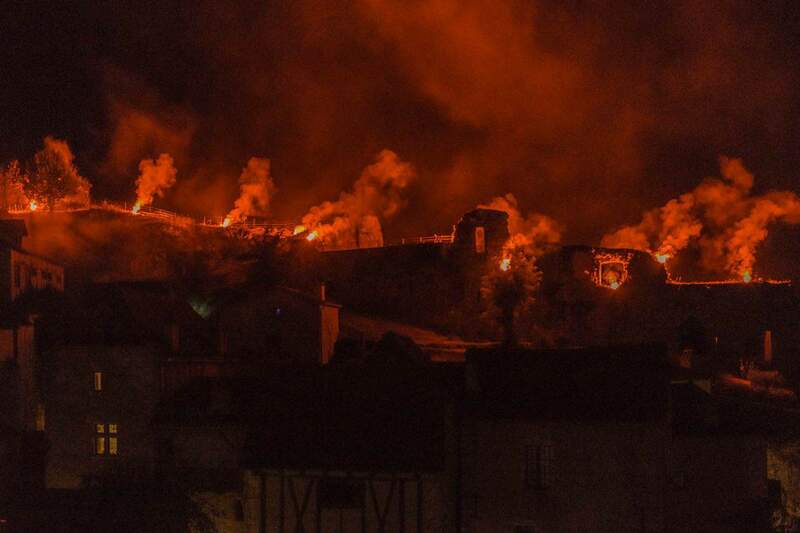 If you happen to be able to make it here around Bastille Day, you’ll be able to witness the most memorable display of fireworks. It isn’t extravagant but rather modest in terms of fireworks standards. 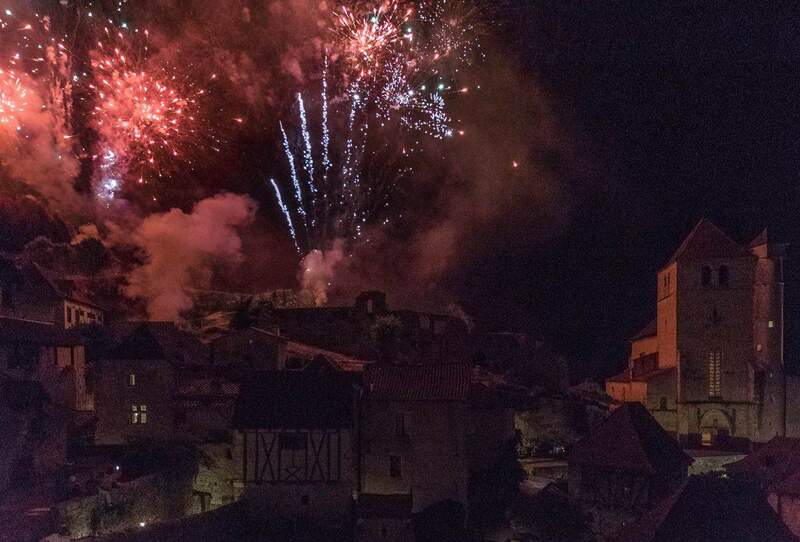 However, the fireworks set off in Saint Cirq Lapopie aren’t just a show of cool pops of color meant to incite “wows” and awe but rather something more meaningful and deep. 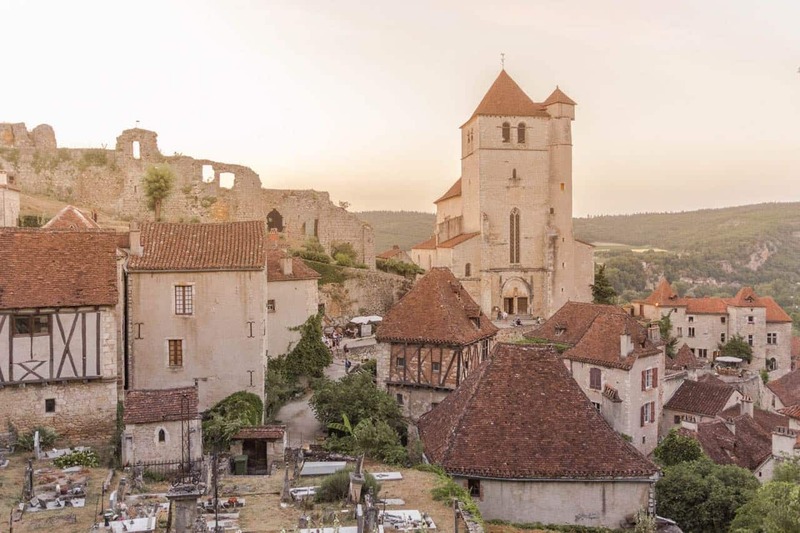 Here you can watch the story of Bastille Day unfold from the beautiful mournful music that’s played to the torches that are lit on the hill to the streams of light going off at the church, all holding a special meaning in the hearts of the French people. I can’t put into words how memorable that moment was but I think everyone should experience something like it if they have the chance! 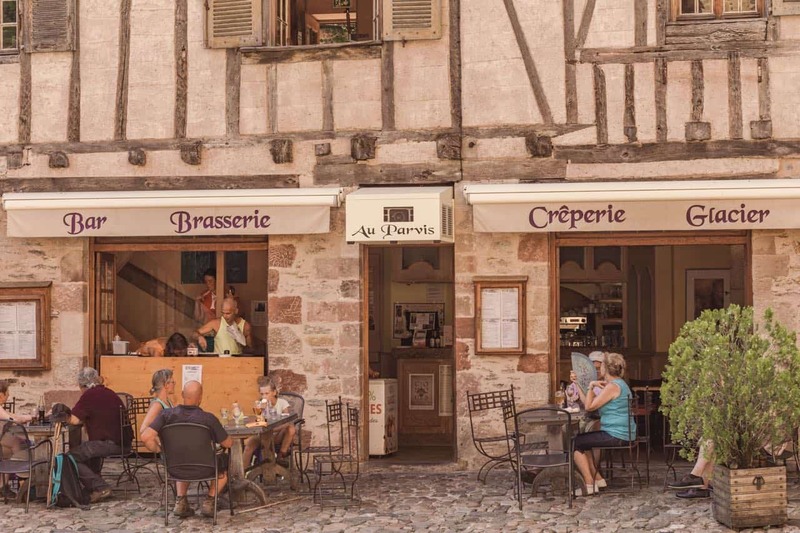 This town packs in a lot of great restaurants in such a small area. 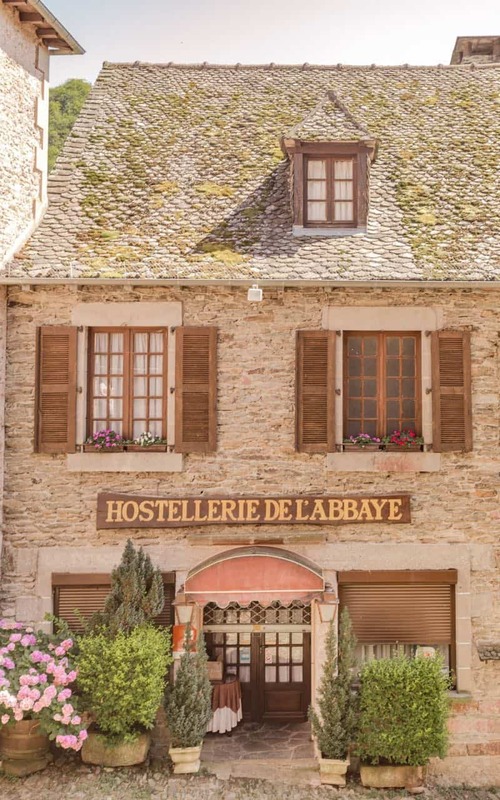 We tried out 4 different ones during our 2 night stay in Saint Cirq Lapopie. I’d recommend each for something completely different than the rest. 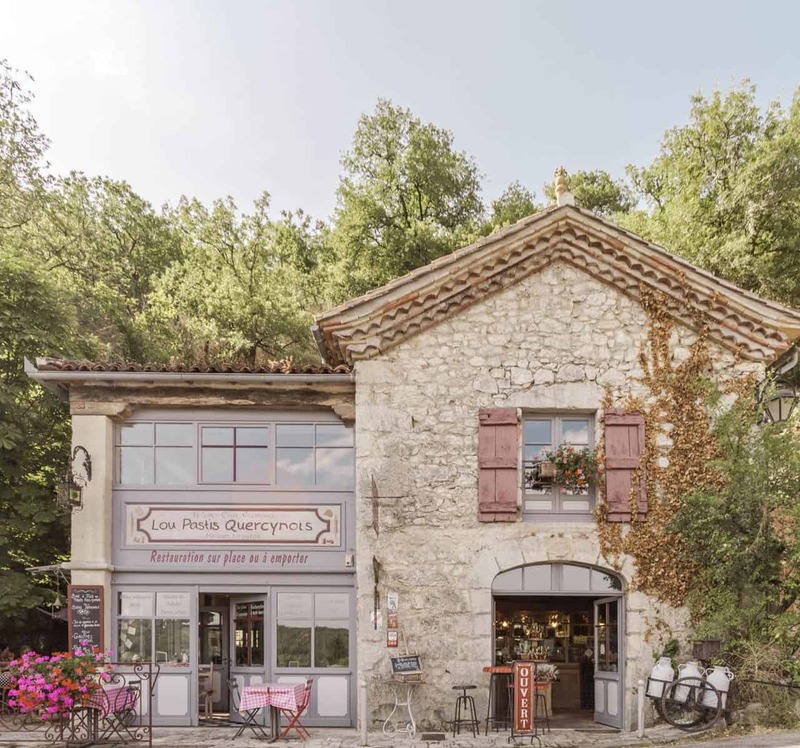 Le Saint Cirq Gourmand – This cute shop/restaurant is located on the outskirts of Saint Cirq Lapopie. Its on the left hand side of the road on your way up the hill. 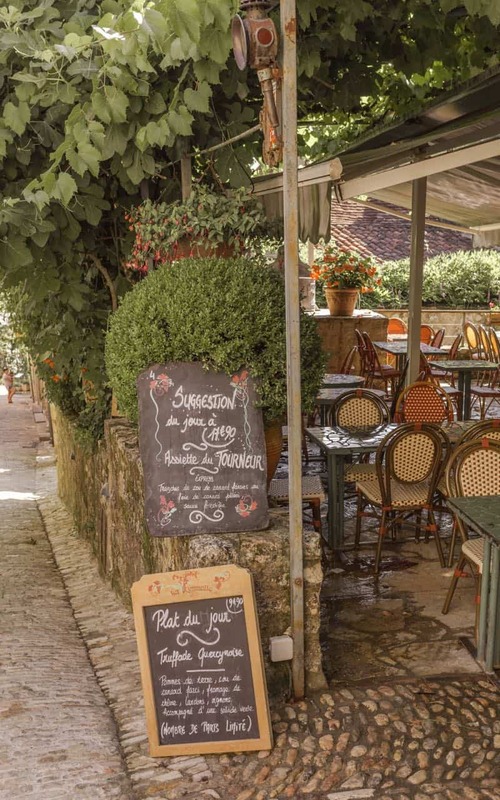 It’s perfect for breakfast as they offer crepes, waffles and all sorts of pastries. 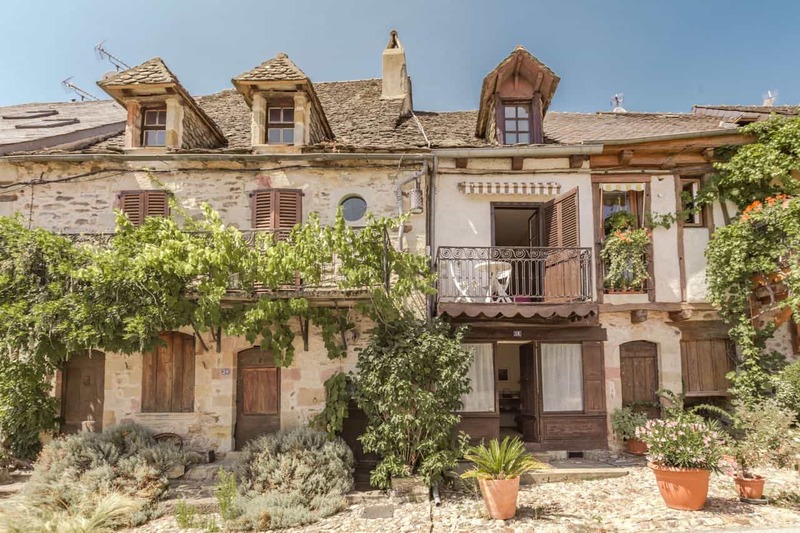 The views are incredible and overlook the village of Saint Cirq Lapopie. 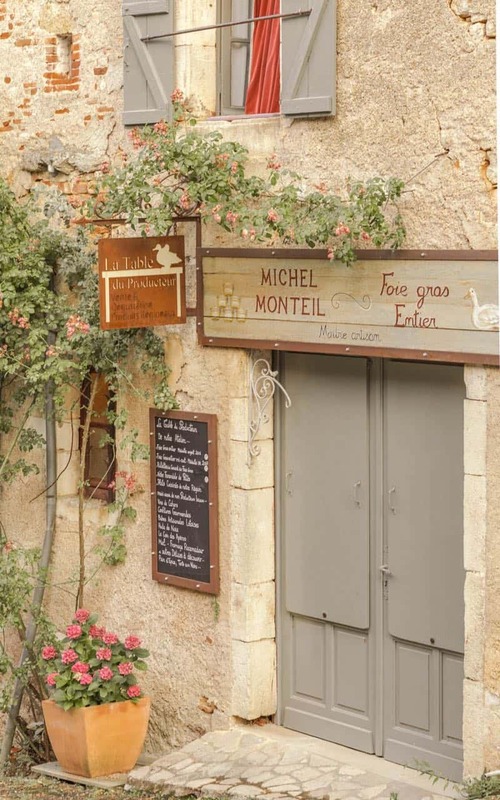 I would recommend trying Lou Pastis, as it’s a local pastry handmade only in this area. It’s delicious and best eaten with an espresso as it’s very sweet. Prices are very reasonable. 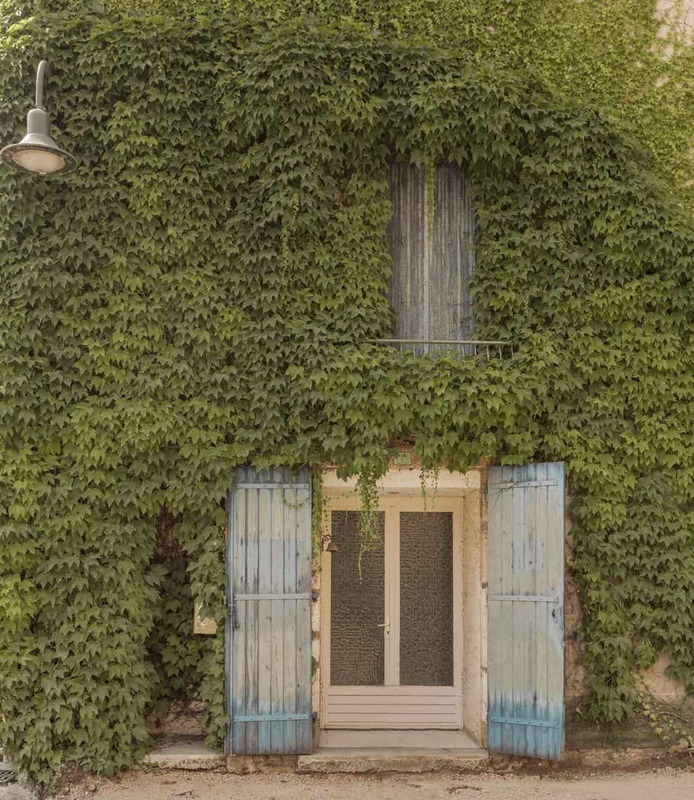 Lou Bolat – This restaurant is located more towards town but on the outside of town (not within the alleyways and streets). Because of this, the views are amazing. Lou Bolat doesn’t open for food after lunch but you can always grab an espresso here. The porch wraps around the restaurant so make sure you pick your favorite spot to sit and enjoy the views. The lemon and honey crepe was great! 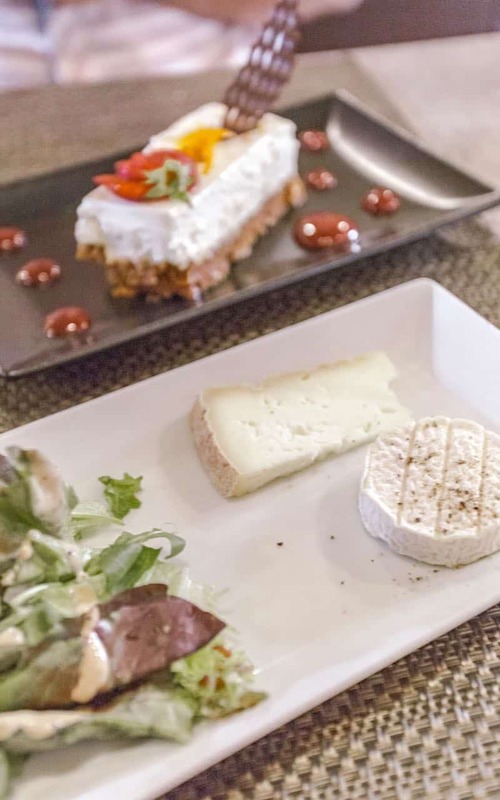 Le Cantou – While dinner wasn’t our favorite, we did love dessert. 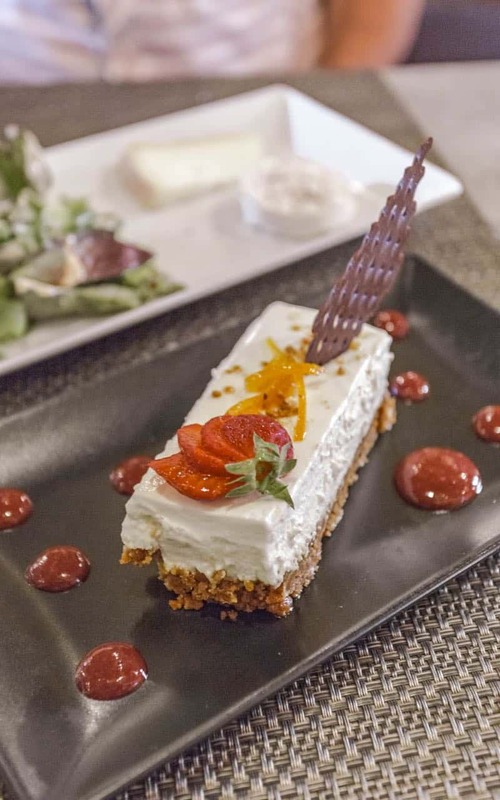 We tried the cheesecake and it was phenomenal. Location is excellent and the staff is super friendly. 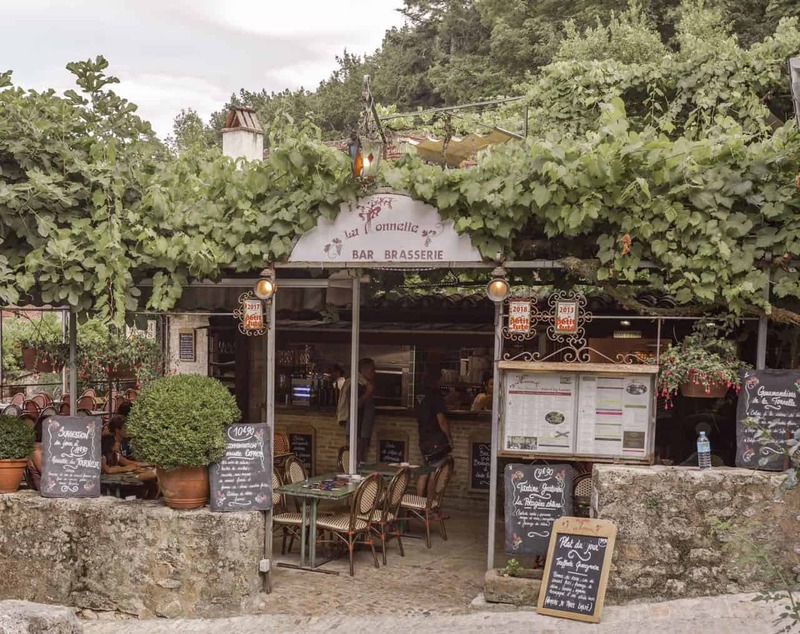 La Tonnelle – This restaurant was probably our favorite in Saint Cirq Lapopie. We ate here twice for several reasons: 1) the food is excellent 2) prices are great 3) ambience is nostalgic 4) it’s open late 5) the staff is extremely friendly. 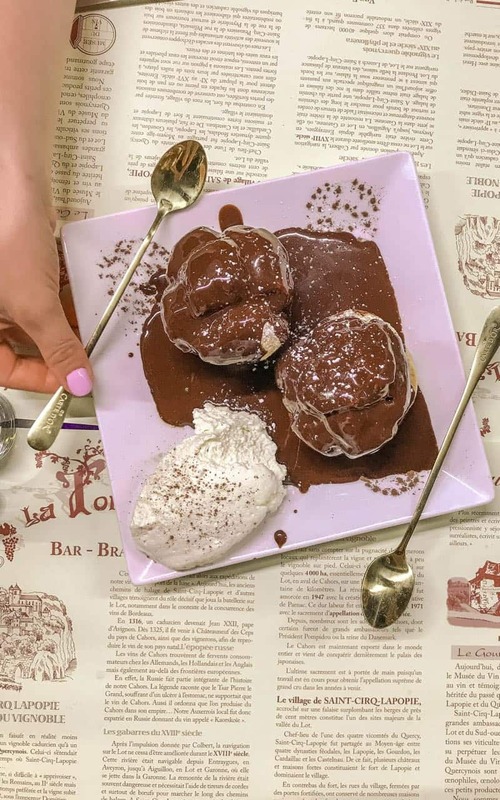 La Tonnelle has an extensive menu but we loved their omelettes, coffee and dessert. I call this the pink town because it has a few buildings that are tinged with pink. 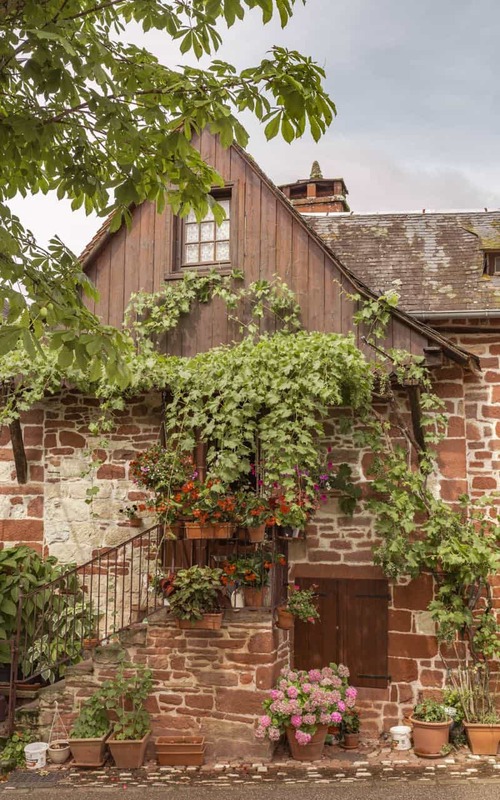 It’s super cute and has a few buildings of Alsace-style architecture. 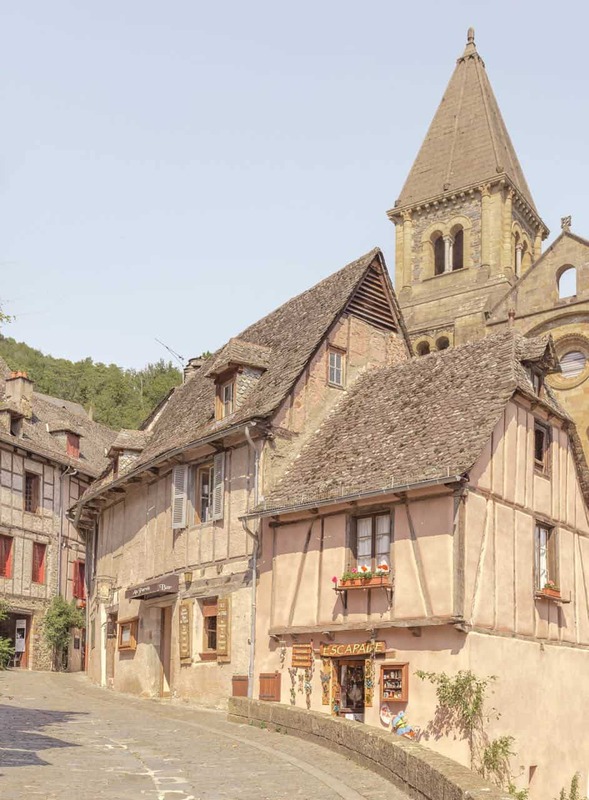 Conques isn’t much of a tourist town so it’s still a hidden gem of sorts. One street makes up the town. You follow it into town and then loop around on the other side to leave. There are a handful of cafes scattered in your walk into town. 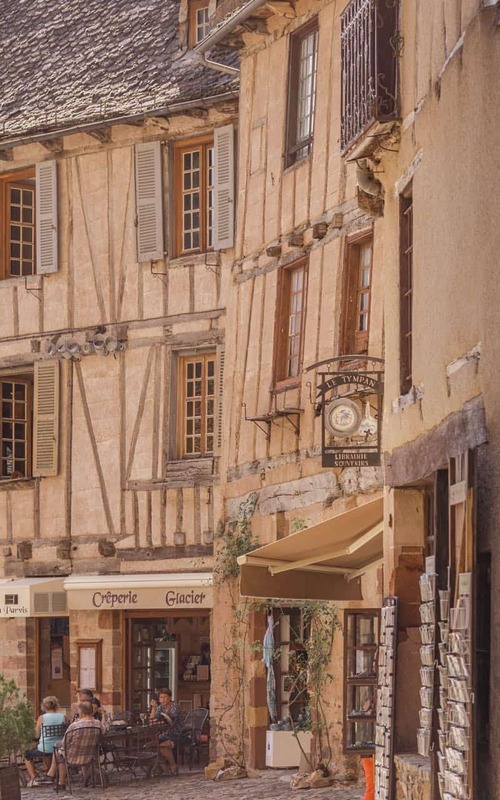 We enjoyed homemade ice cream and espresso that was located on the right side as you’re entering town; the large cathedral will be in front of you. They have amazing homemade ice cream and the perfect outdoor seating. You can opt instead to sit in the “square” which is directly across from the cathedral. 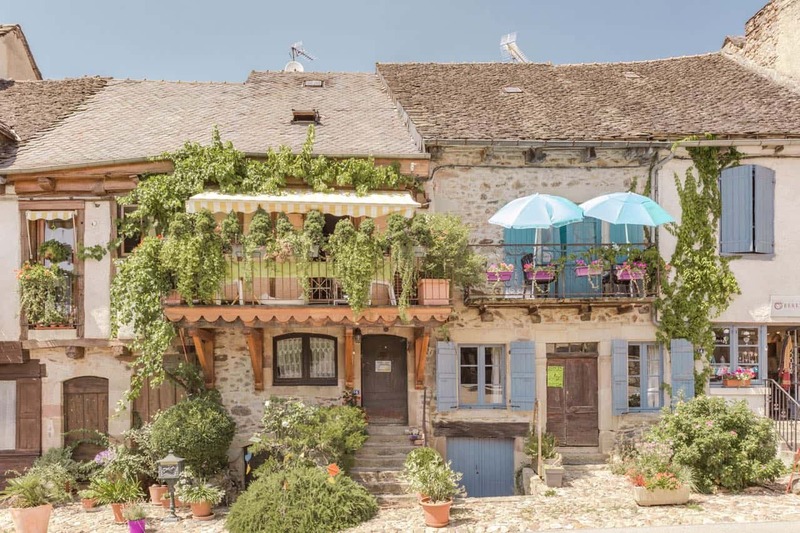 A medieval town dating back to the 13th century with character and charm, Cordes Sur Ciel is probably one of the cutest towns you’ll come across in southwest France. 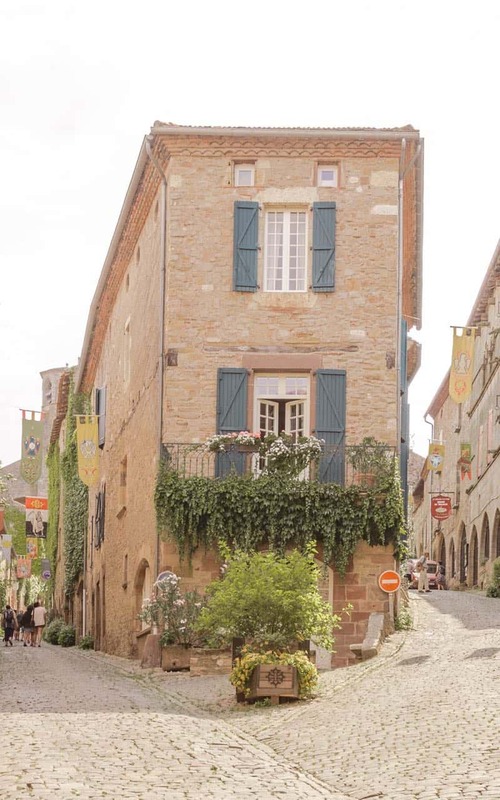 The cobblestone streets are lined with cute houses and shops along with pretty flowers and quaint medieval banners hanging from house to house. Stop in at the basket shop and buy some lavender syrup and local cookies to take home. They were both delicious and great souvenirs to pick up. 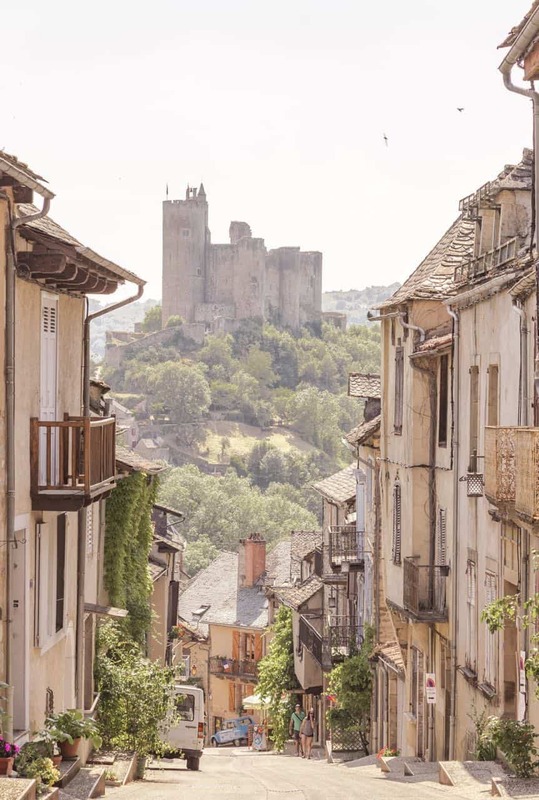 Cordes Sur Ciel holds an annual renaissance fair (in July) where attendance is free as long as you’re dressed in period clothing. We happened to visit two days before the event and got to see the pavilion decked out with tables and chairs. The tables were lined with tablecloths and decor in preparation for the dinner that they would hold. It truly was amazing. 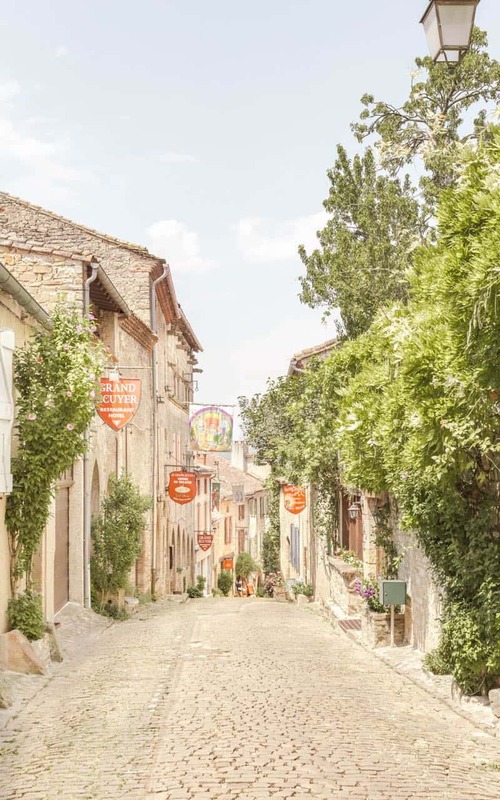 This red themed village is small but has photo ops at every corner. 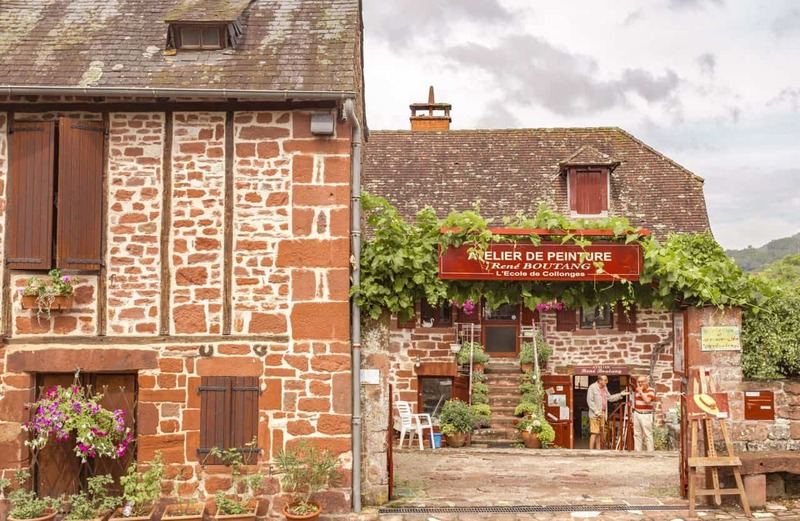 The entire town is lined with red bricks (even the church in the center) and the residents do a wonderful job decorating their exteriors with greenery and flowers. 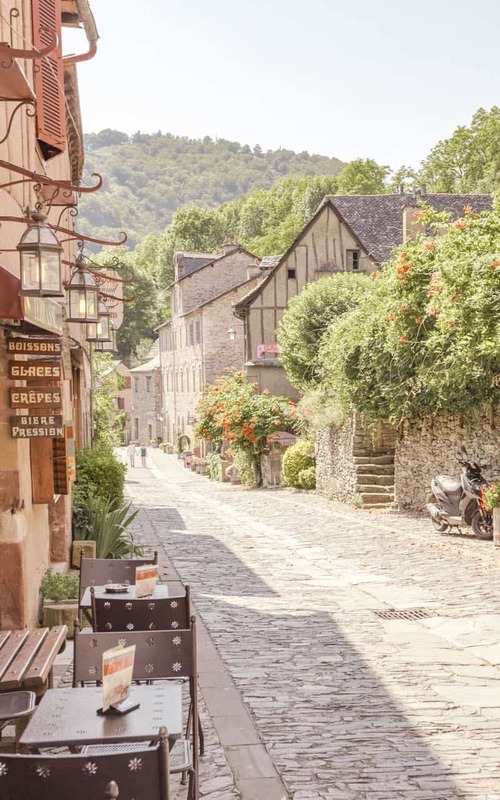 It’s a beautiful village and is surprisingly full of creperies, ice cream shops and restaurants. 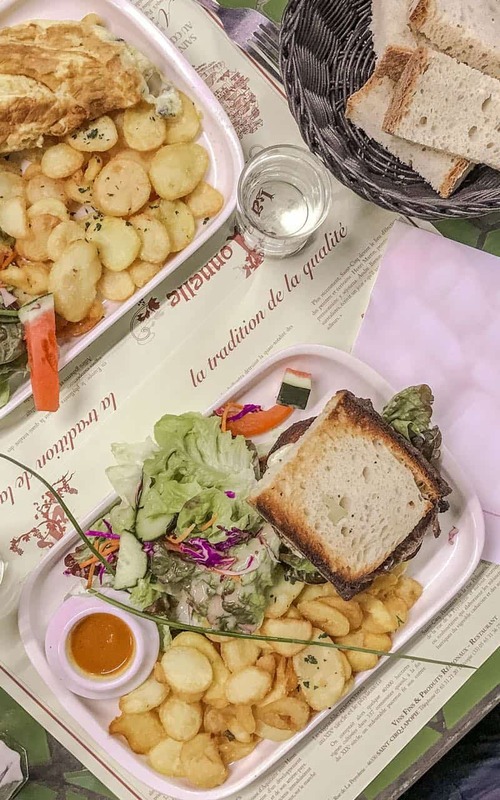 Grab lunch at the outdoor restaurant that offers cheap 5 euro sandwiches because the view is just too good. 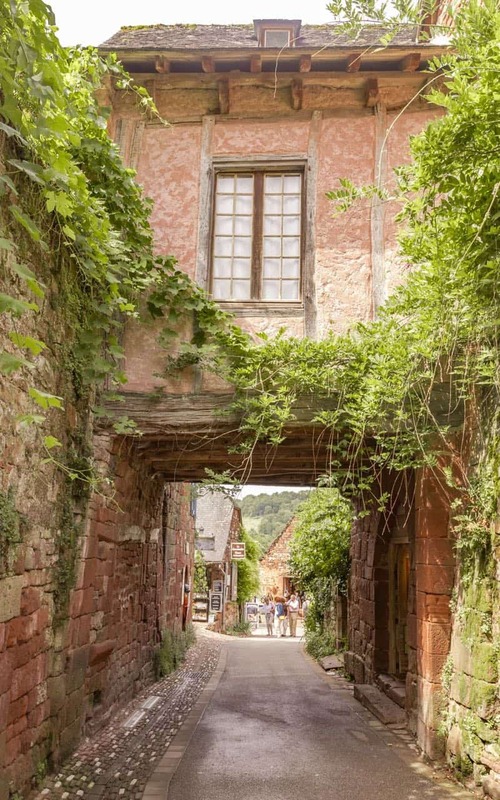 Collonges-la-Rouge makes the perfect stop if you’re headed up to Paris and it needs only 2-3 hours to fully visit. 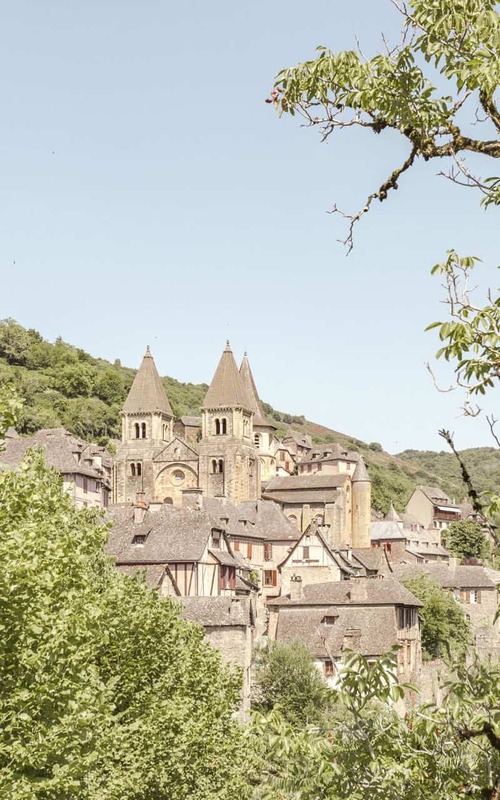 Najac is a tiny town located north of Cordes sur Ciel and south of Conques. 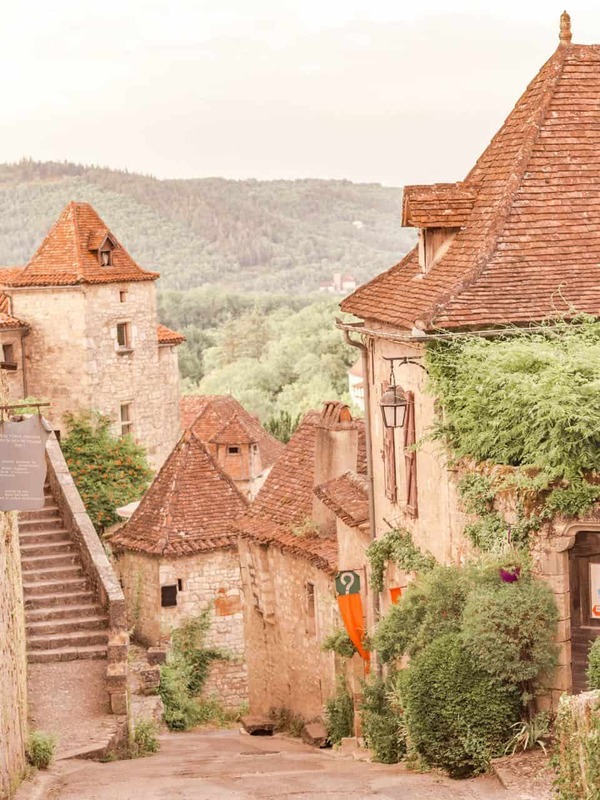 It’s distinctive trait is its town center that has a beautiful castle looming in the background. It’s just as dramatic in person as it is in the photos. 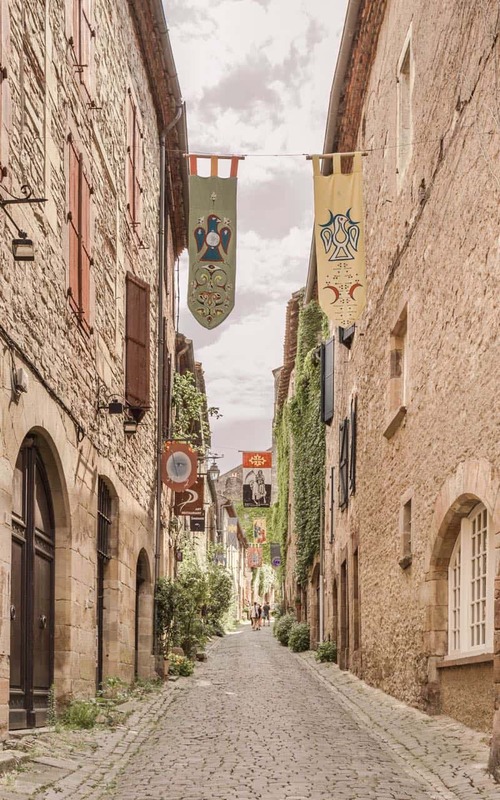 One street leads you through the center and then wraps around to the castle. 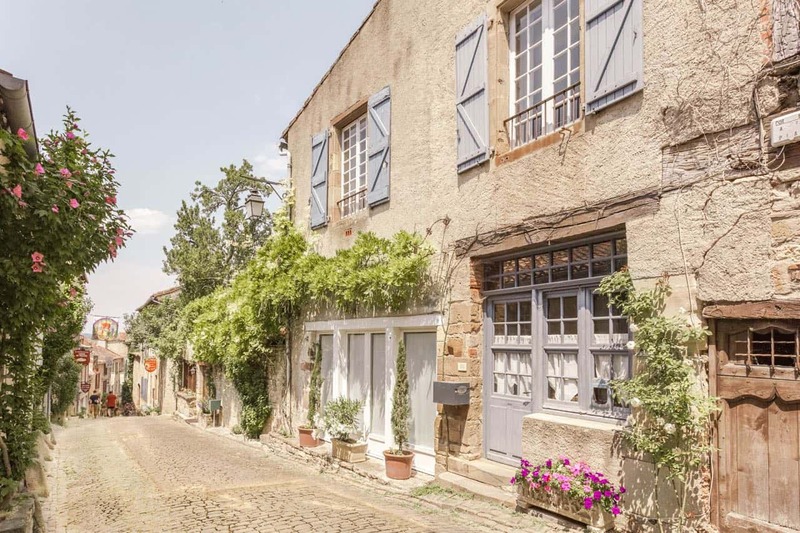 If you follow the street, you’ll first pass the most adorable homes on the right side. 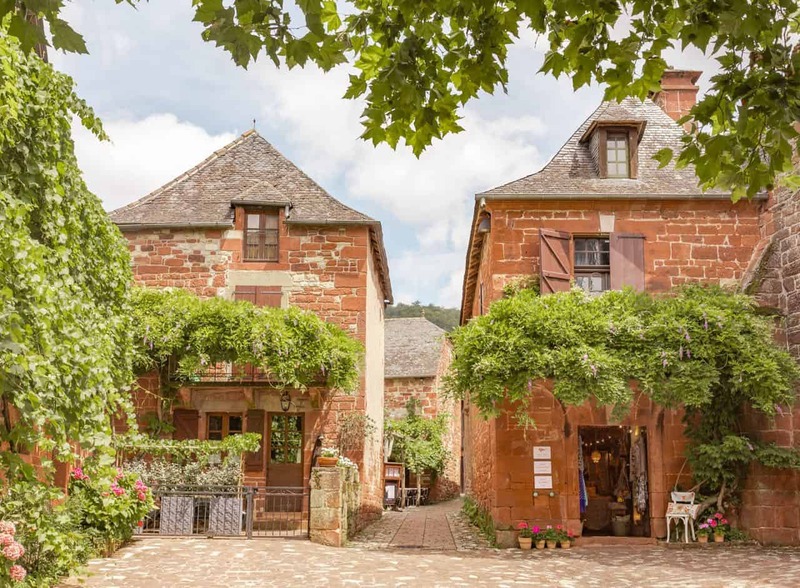 Then you’ll come across a few cafes and a boulangerie. 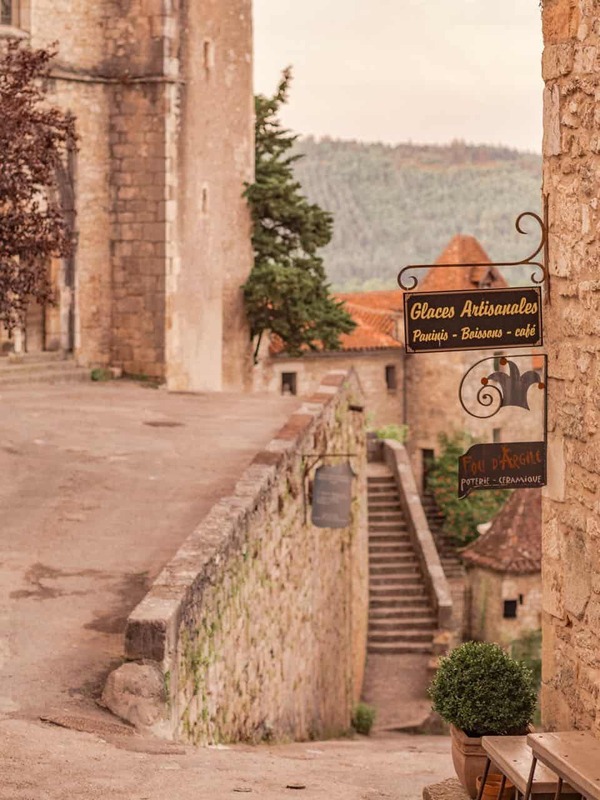 Stop at the cafe on the right for a drink or espresso and then continue towards the castle. You can tour the castle if you’d like or just walk back. 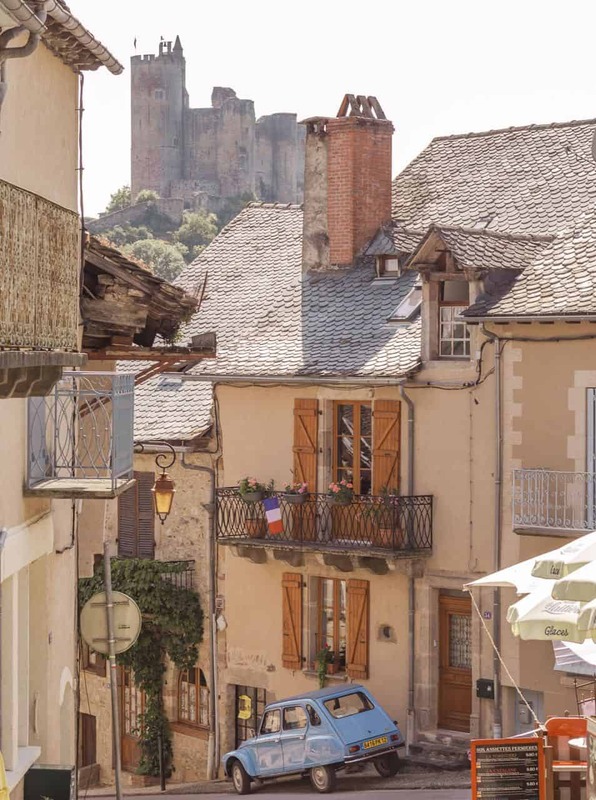 Because of its size, Najac only takes about 1-2 hours to see. 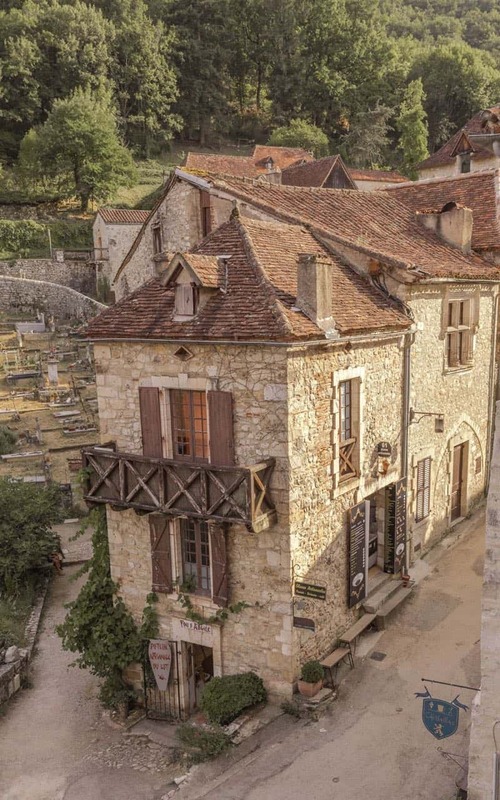 If you’re looking for a place to stay near Cordes sur Ciel, then I would recommend booking a room at La Maison au Puits . 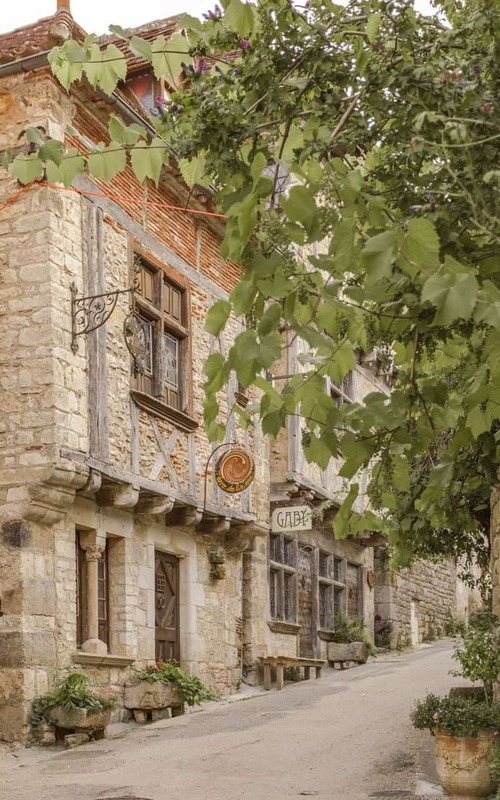 It’s an old building that has been beautifully restored by its Dutch owners. The rooms are cute and the breakfast is delicious. 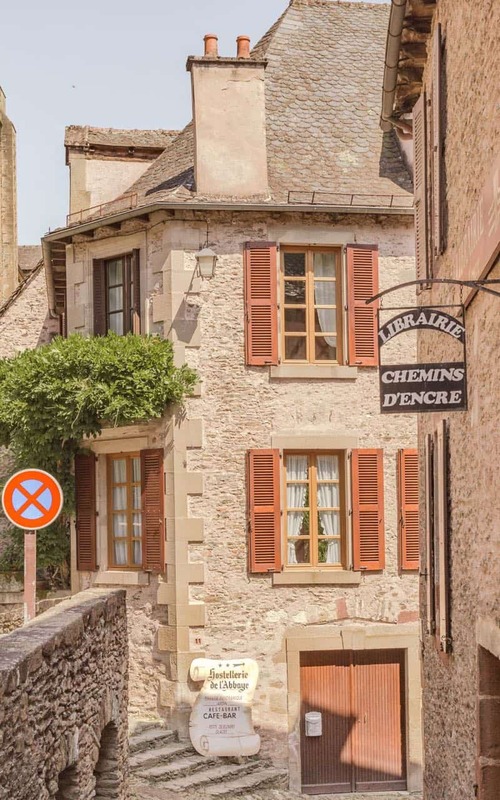 This bed and breakfast lies at the bottom of the hill next to the tiny town of Les Cabannes, only a half hour walk down from Cordes sur Ciel. 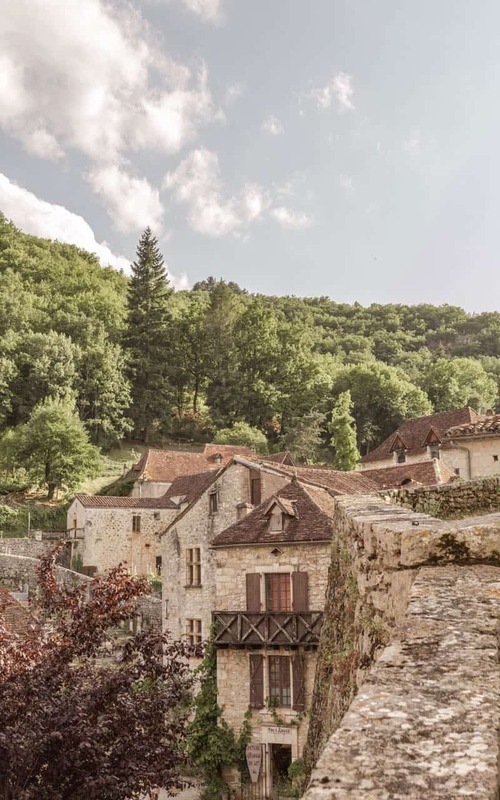 If you want to stay further north, you can opt for Saint Cirq Lapopie. 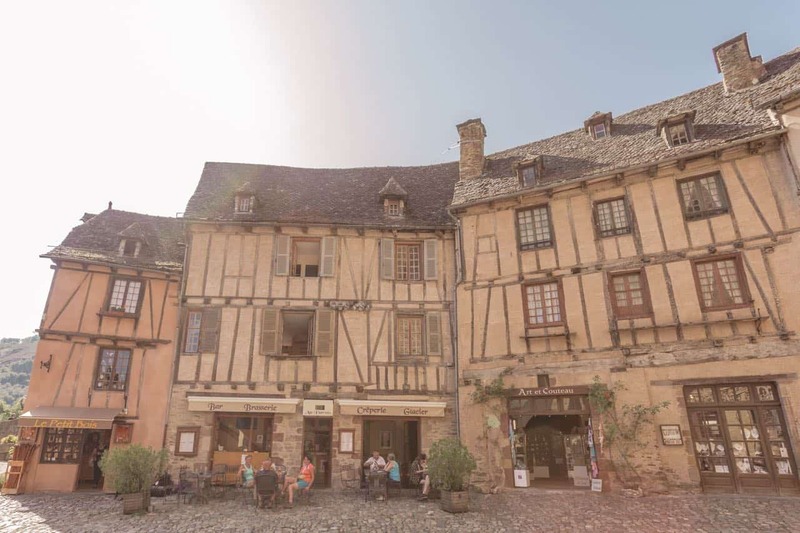 This town makes a great base to explore the surrounding area as it has quite a few restaurants as well as some shops and cafes. 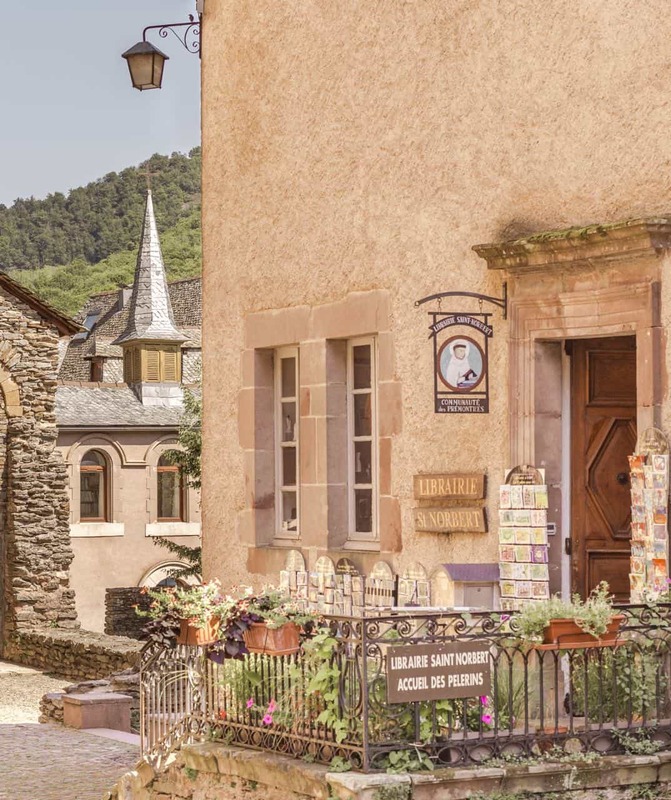 You can either stay in the town itself (a bit difficult to do as there isn’t much by way of lodging in the actual village) or choose to stay in Hotel Le St Cirq, a beautiful resort-style hotel located just 10 minutes away by car. The hotel offers a free shuttle service to restaurants in town so it takes the hassle out of being farther away. 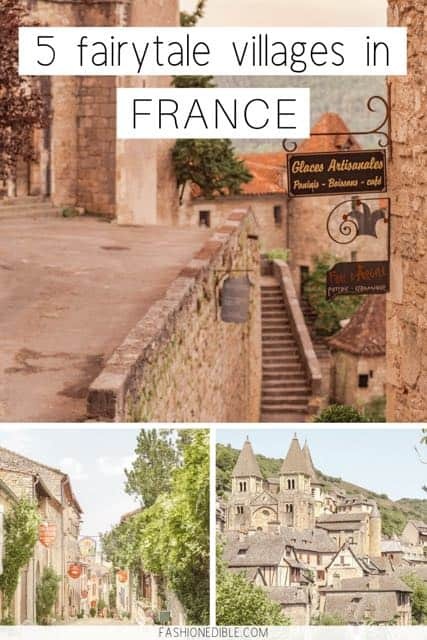 Best Europe Itinerary? Here’s our top 11! 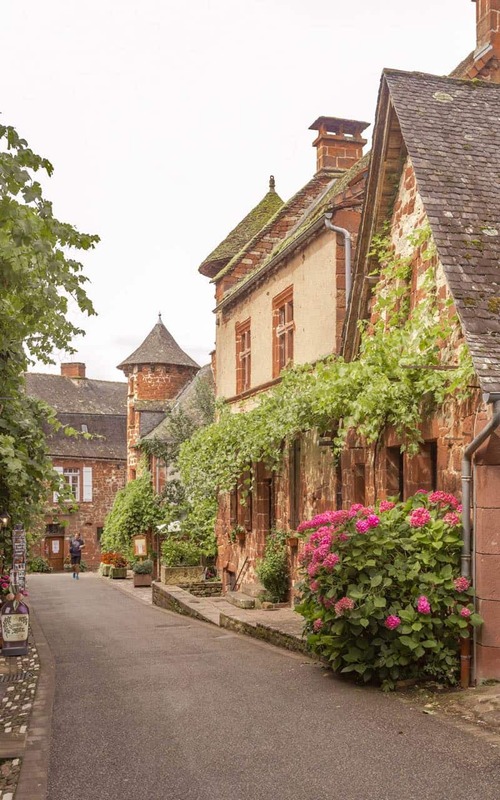 Really beautiful photography and beautiful descriptions of these towns. 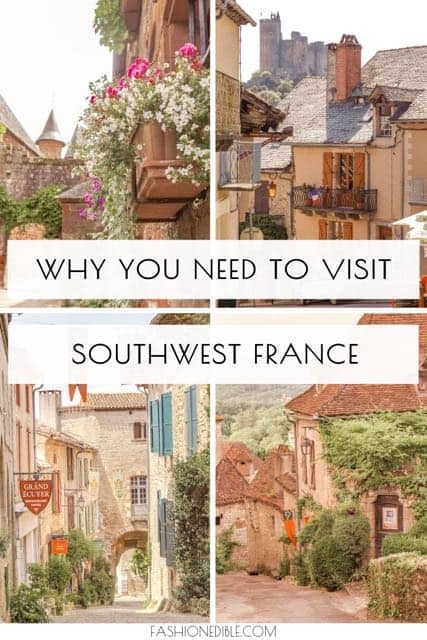 You definitely made me feel like visiting this region of France. I love the relaxed vibe that comes across in your photos. So many super cute little buildings. Like a part of the set from Beauty and the Beast. Looks very romantic. Thanks for sharing. They really were like a fairytale! Super useful guide! 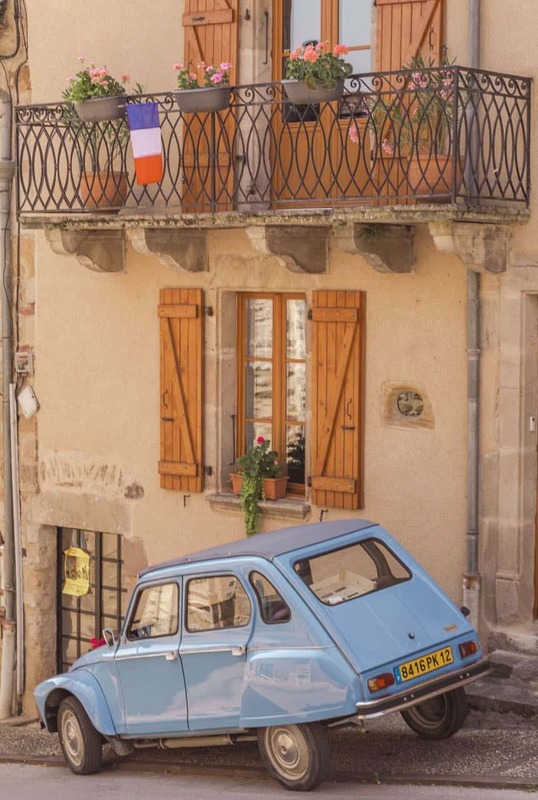 Passed it on to a friend who is taking his dad on his first ever Eurotrip! But the pictures, oh my god, stunning! Thanks so much Arunima! I hope he finds it helpful! 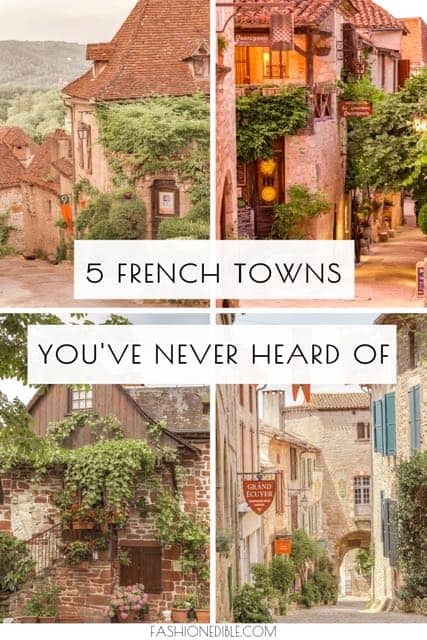 ooh I’ve never been to any of these but I love charming lil French towns! I’d love to visit all of them!! These places look so beautiful. And I love your photographs!